The new smartphone race is no longer a race to the top. The high-end markets are quickly growing saturated with Samsung and Apple devices, but there is still a race to be had in the low-end market. We've seen a number of new devices like the Moto G and Nokia X that are trying to offer users good performance at a low price, but ARM also has its sights set on the ultra-low cost market. The idea seems to be that there are quite a lot of people out there who may want smartphones, but can't even afford the price tag around $100 to $200 offered by the Nokia X or Moto G. ARM still has those users in mind. At ARM's second Tech Day, it has laid out a few interesting predictions for the smartphone market, both in the short and long term. ARM's short-term prediction isn't really much of a prediction as it is an extrapolation of what has already been happening. Mozilla showed off $25 Firefox OS smartphones at Mobile World Congress back in February, and ARM is now going way out on that limb to claim that there will be $20 smartphones on the way "in the next few months". Of course, a device at that price you'll only be getting an Android device with a single-core Cortex A5 based SoC. ARM doesn't expect prices to drop below $20, because no matter the cost of the components, manufacturers still have costs to build the devices. Looking at the long-term, ARM is once again not going too crazy with its prediction, but it does serve to show the direction the market is moving. ARM is expecting the biggest growth over the next four years to be in the "entry level" (sub-$150 devices), and the "mid-range" ($150-400). 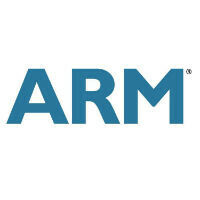 In 2015, ARM is predicting about 1.75 billion total mobile devices shipped, up from about 1.3 billion in 2013. By 2018, ARM is predicting total mobile shipments of almost 2.5 billion devices, with almost half of that total being "entry level" devices alone. What ARM doesn't predict is what an "entry level" device might look like in four years. About four years ago, the Huawei Ascend was the $150 smartphone of choice, and it offered a 3.5-inch 320x480 display, a 528MHz single-core CPU, 256MB of RAM, 512MB of storage, and a 3.2MP camera. Right now, devices in that range offer at least a dual-core CPU (or quad if it's a MediaTek), between 512MB and 1GB of RAM, 4GB of storage, around a 5-inch display that is getting closer to the 720p level, and dual cameras. What's your guess for what an entry level device will look like in 2018? Great for people who just need to call or buy one as an emergency phone. Then they might as well buy a feature phone with better battery life and cheaper. But a smartphone can be used for GPS which is helpful unlike feature phones. I'm pretty sure some unknown Chinese manufacturer allready has made some dirt cheap smartphones. Expect a 1 hour battery life though with 13mp camera that takes minecraft quality pictures. By the way Michael (*off topic) you guys usually do camera comparisons for flagship smartphones but all you do is compare picture quality. Can you guys make an article that really goes deep about video quality (not comparisons with DSLRs) on things like quality on 60fps vs 30fps, how the sound recorded affects the video quality and....you get where I'm going with this. Could you guys do that? Please? Today's smatphone = yesterday's feature phone. Today's feature phone = yesterday's smartphone.